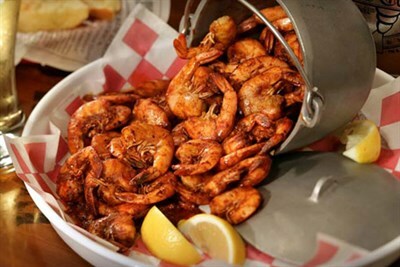 Photo Credit: Bubba Gump Shrimp Co.
Close to great shopping and Baltimore landmarks. Full menu with seafood and slow roasted ribs and don't forget to try the shrimp. Sun-Thur, 11am-10pm; Fri-Sat, 11am-11pm; Mon-Fri, 4-6pm (happy hour).